It’s easy to become cynical about the calculated way that Disney and Marvel have built their cinematic universe. The idea that everything ties together is intriguing, but it doesn’t always lead to better movies. Agents of S.H.I.E.L.D. was their first step into the TV realm, and it took a while before it really found its footing. One of the challenges was the 22-episode season, which slowed down the pace and led to a more episodic structure. The stakes felt too low in the early going, and the show didn’t find its groove until a last-season run. Agent Carter wouldn’t have the same luxury. The eight-episode season premiered in January and had limited time to make an impression. The thrilling part of that approach was the chance to tell a lean and focused story. Co-creators Christopher Markus and Stephen McFeeley (the Captain America films, Thor: The Dark World) didn’t need to add filler. The result was refreshing and didn't overstay its welcome. To put it simply, it was awesome. A key reason for the success is having a single lead character at the center of the action. There isn’t a need to spend time digging into the supporting players's backgrounds, and we learn about them organically. This approach only works with a dynamic figure at the front, and Hayley Atwell brings so much to Peggy Carter. She was one the highlights of Captain America: The First Avenger, so it's easy to root for her in this more prominent role. Carter is a capable spy who’s smarter than most of the guys, but she isn’t a superhero. She makes mistakes and fails, yet her heart is always in the right place. Atwell convinces us of both her physical skills and intelligence without going too far over the top. She isn’t performing the high-flying acrobatics of Scarlett Johansson’s Black Widow. Carter’s grief over the death of Captain America is present but not overstated within the series. It isn’t a crutch and motivates her to do something valuable at the Strategic Scientific Reserve (SSR). Hayley Atwell brings such charm and intelligence to the title role in Agent Carter. The story takes place in the New York City of 1946 with Carter working at the SSR as the only female agent. She fought alongside Captain America in World War II but is reduced to taking lunch orders. Dropping a character with a modern sensibility into a male-dominated environment is tricky. The other guys can’t be total buffoons if we’re going to care about what happens to them. The sexism is more prominent at the start and feels a bit simple, but her co-workers at the SSR show more complexity by the end. Chief Roger Dooley (Shea Whigham) can’t accept the idea that Carter might die under his watch. His top agent Jack Thompson (Chad Michael Murray) seems arrogant but is hiding a distressing secret about his status as a war hero. Their changed views toward Carter are gradual and feel natural to the story. Murray is the right guy to play the golden boy, while Whigham finds nuance in a possibly one-note character. When they join up with Carter to fight the bad guys, the moment feels earned because of the obstacles. Howard Stark’s (Dominic Cooper) stash of dangerous inventions has been stolen, and he asks Carter to find the culprit. The challenge is that Stark is the SSR's number one target. This investigation plays out effectively over the short season and concludes at the right time. The episodes don’t waste time setting up future arcs, which is usually necessary with a longer run. They also don’t feel rushed, and it’s a tricky balance to tell an intricate story without piling on the plot. Agent Sousa (Enver Gjokaj) discovers Carter’s involvement with Stark at the end of one episode, and she’s captured in the next one. A lesser show could easily drag out the reveal for a much longer time. There’s an understanding of pacing from the writers that pays major dividends. It’s a fairly small-scale conflict by Marvel standards, but the stakes feel huge because of the quick movement. It's refreshing that Carter doesn't become romantically involved with guys like Howard Stark (Dominic Cooper). The ABC commercials prior to Agent Carter’s premiere made me nervous. They focused on Atwell’s looks and used the cringe-inducing line “sometimes the best man for the job is a woman.” She’s obviously attractive, but I hoped for more in a rare action series with a female lead. Thankfully, the show is a lot smarter than the network marketing team. Atwell channels Jennifer Garner’s Alias in the pilot and infiltrates a night club in a stunning dress, but that isn’t the typical episode. What’s also refreshing is her relationship with Angie Martinelli (Lyndsey Fonseca), a waitress not involved in the main plot. Their friendship isn’t about men and seems genuine because it’s separate from the job. In a more predictable show, Martinelli would be the surprise villain. Instead, the revelation of the killer feels out of left field yet creates glee because it’s so random. The enemies aren’t your typical super villains yet are still very dangerous. 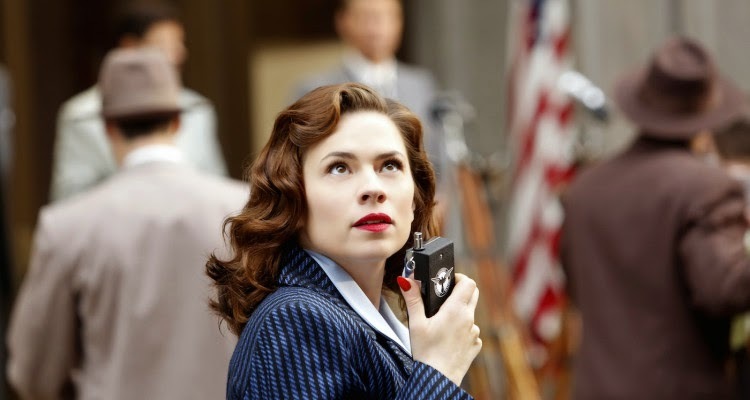 There are connections to the Marvel Cinematic Universe in Agent Carter, but they don’t take you out of the story. Viewers unfamiliar with the Red Room or the Black Widow program aren't left confused. That fact is extremely important for a network series hoping to attract a larger audience. The response has been largely positive, and I’m hoping for a second season next winter. This season doesn’t leave a cliffhanger, but there are enough strands to weave into future installments. Carter hasn’t become involved with the creation of S.H.I.E.L.D. yet, and that story might connect with the other properties in an interesting way. Atwell is a rising star, and ABC would be wise to stay on board with Marvel. It’s an easy sell. My hope is for a brief season of similar length to this one. There’s great potential for another exciting story, and it won’t be easy to top such an engaging start. I haven't enjoyed a network show like this in a very long time. I say that great things can come in small doses and this show is a great example of why it only needs 8 episode for one season. I really hope they do another season with only 8 episodes instead of 21-22 episodes. Plus, I enjoy the humor between Atwell and d'Arcy such as that scene where they tried to escape. It's got so many things that I love about it. I'm also hoping they do another short season. I think putting it in the same spot next year would be a great idea. I realized after I wrote the piece that I hadn't even mentioned Jarvis. He's definitely part of the reason the show works and has some much-needed humor. I liked this show, although perhaps not quite as much as you. I definitely like the idea of having limited series on TV. I always used to watch the old miniseries when they were on when I was young. This was really a miniseries just broadcast on a weekly basis instead of a nightly. 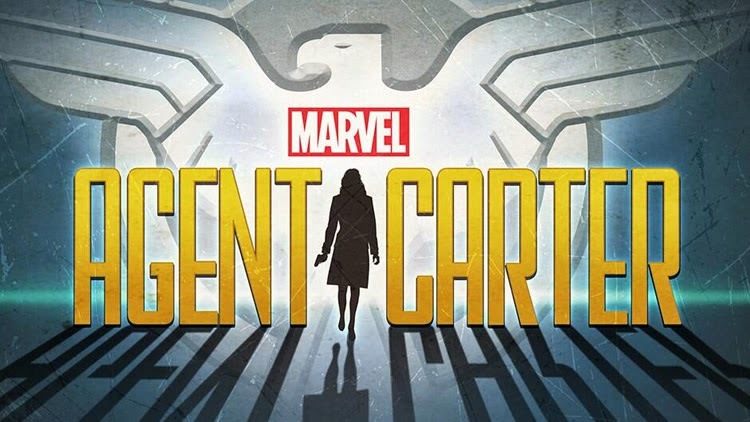 And with the way people watch disks or stream content it turns something like Agent Carter back into a miniseries, if you watch them all back to back. I do hope that they do the same thing next year - show a limited run of Agent Carter while Agents of SHIELD is on hiatus. Of course, this assumes both shows get renewed, something that is in question for both. There are people even calling for SHIELD to be cancelled and a full season of Agent Carter take its place. They don't realize most of the things you pointed out about how the brevity of the show was one of its strengths and that if it was extended to 22-24 episodes it would fall victim to the same weaknesses of every other show that has to come up with 20+ entertaining single stories while still trying to fill a longer narrative. Even the best season of Buffy the Vampire Slayer (Season 3) "only" went 19 for 22 with episodes that were in the good to great range. And that's as close as I think any full season TV show has ever come to having every episode in a season be a winner. There are people also calling for Game of Thrones to get more than 10 episodes per season and the same thing applies here: more episodes does not necessarily lead to a better product. I definitely agree that even the best shows can't keep up the momentum for 22 episodes. My favorite series of all time is Homicide: Life on the Street, and even in its best years I agree that maybe 18 or 19 of the episodes totally worked. The shorter season has really worked for shows like Justified and The Shield, plus HBO shows like The Wire and all the others. There are some where it means less, but serialized ones really need it. This does seem more like a mini-series, and I'm totally good with it. I'd definitely suggest that you give the rest of the episodes a shot. It moves fast with the short number of episodes and rarely drags, especially in the last few episodes. It left me wanting more, which isn't always bad.